Always wanted a ride of the flying car that helped Harry and Ron to reach Hogwarts on time? Here is a chance for you to experience the same sense of excitement, fear and joy. Hop into this man-made wonder, see a bird&apos;s eye view of the world and get amazed by nature again. The introduction of this new form of adventure activity allows you to fly like a bird and take a view of various landscapes that India is blessed with. Be it the sprawling cities, be it the deserts or be it the world famous white desert; you can choose any of these sites for a ride and live one of the best moments of your life. A paramotor is considered to be the world’s smallest aircraft. 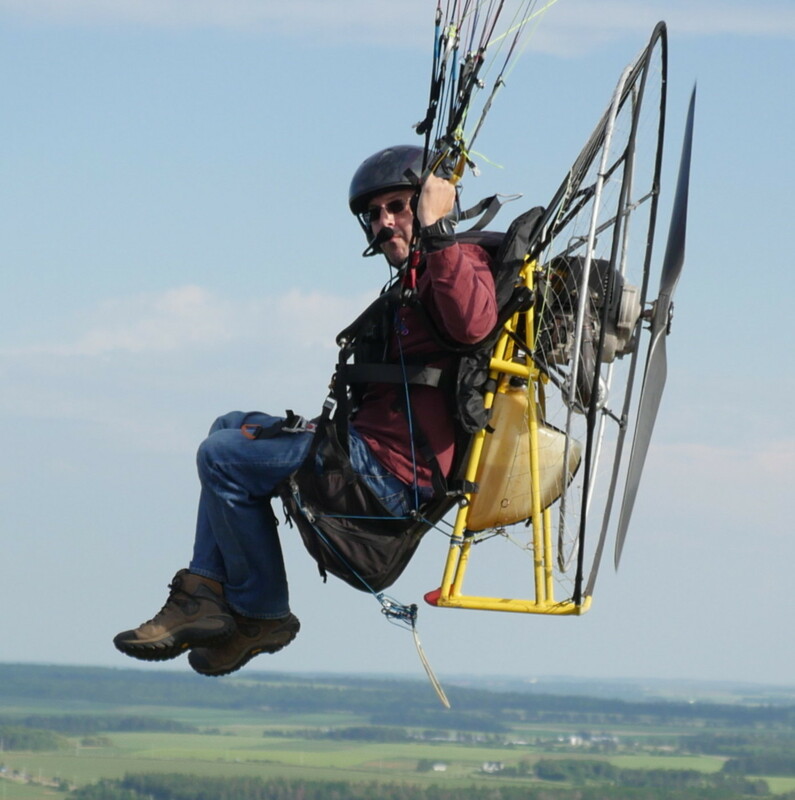 A two-stroke motor along with a paraglider together form a paramotor. Only a trained pilot can and is allowed to drive this wonder invasion. They usually fly at a speed of 25 to 75 km per hour. Generally, most paramotors are flown below 500 ft above the ground level. Both takeoff and landing doesn&apos;t need a higher platform. So, get set for your next adventure trip and be ready to enter the wilderness of the sky. This activity can be performed both under training and without training with a pilot. For the joyrides, you don’t need any expertise and physical fitness, but for the powered paragliding, you need to be fit enough to carry an 18-25kg paramotor and should be above the age of 18 years. The gear required (helmet, knee pads and safety belts) for the activity will be provided by the company you hire. In this kind of paramotoring, interested enthusiasts are trained to fly like a bird &apos;alone&apos;. It takes around 15- 20 days to learn the technical part. The training is subject to weather conditions. There are two stages of training a) basic b) intermediate. There are various private training institutes, such as the Space Apple, around the country that offers similar facilities. For those who do not have the time to undergo training, and still want to experience the joy of flying through powered paragliding can try out joyrides. In this case, an experienced pilot will accompany you. While the pilot will be controlling the equipments you can just sit and enjoy the aerial view of the terrain below. In joyrides, they use a large glider to carry two persons at a time. The best time to fly a paramotor is during the early morning hours from 7am-9am and in the evening hours from 6 pm to 8 pm in the summer hours. The price of this sport ranges from ₹1300 to ₹15000 depending on the time you choose, distance and whether one wants to get trained or not. There are different packages offered by different private companies from which an adventure junkie can choose what best suits her/his. Rann of Kutch in Gujarat is known for its white desert. During the four-month festival of Rann Utsav, a temporary tent city is created for all the tourists. Here tourist can opt for paramotoring both during day and night at the cost of Rs 3500. This activity is generally suggested to be done at night, to see the mesmerizing white desert shining under the moonlight along with the lighting of the tent city established right next to it. Paramotoring is a must try in Pushkar, a town. Pushkar Mela held every year attracts thousands of livestock and tourists from across the world. It is a camel fair that is celebrated five days in November. If you want to make your trip to Pushkar an adventurous one, then here is the activity that you could try. Take a bird’s eye view of the golden sand dune from above. Jodhpur is another premium destination for this activity. The city is part of the Thar Desert and there are many companies offering the service. Enjoy the sunset in the desert and the skyline of the city. Gurgaon, another well-known destination for paramotoring, is a great option for all the ones staying in Delhi. You don’t have to travel far and wide for the thrill, just contact a private company make your reservations and go. The fly takes place at Sohna Road. Mumbai is among the five places where you can try paramotoring with all the safety ensured. Though the city is sprawling with buildings, the place still gives you the opportunity to view the city from high above. With the Arabian sea on its coastline, the city looks mesmerizing from the top. A Bikers Guide to Enter Nepal.